You know how it works. Every year on December 31st you make the same resolution to finally get fit. Come January 1st, you go all in. You’re motivated, dedicated, and consistent. Then, somewhere along the way, something happens, and your fitness resolution begins to fall by the wayside. Don’t feel guilty – it happens to everyone. Come February, only a third of those who made a resolution still stick with it. Overall, only about 9% of resolutioners report success with accomplishing their goals. So what’s the secret? What’s the difference between the person who reaches their fitness resolution and the one who crashes and burns? There’s actually a couple of tricks that will help keep you motivated and focused along the way. Want to know one of the biggest keys to reaching your fitness resolution? It all starts with being real and honest with yourself. Make a realistic goal, and set realistic expectations. If you’ve never stepped one sneakered foot on a treadmill before, it may be unrealistic to expect to look like Dwayne “The Rock” Johnson by the time summer rolls around. Instead, give yourself something more manageable to work with. 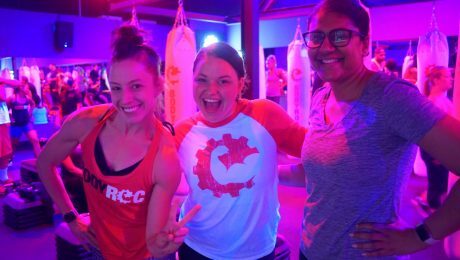 For instance, if your ultimate goal is to get fit, then start small by resolving to hit a few group fitness classes per week. Once you manage to do that consistently, you can broaden your horizons because you’ll already be on the path to success. Our daily schedules tend to naturally inflate to fit the space we give them. But, in order to fulfill your fitness resolution, you need to give exercise the same high priority you give to the other things in your life that you value. You schedule a massage, an appointment for a hairdresser or barber, and even a visit with the doctor. These are all instances of making time for self-care. Exercise is one of an essential form of self-care, and therefore should be treated as such. It’s your daily or weekly appointment with yourself where you focus on self-improvement. You’re making a commitment to bettering your health and extending your life, so honor it. Block out time in your schedule for a workout. Write it on your calendar or set a reminder on your phone. Ensuring you have that time reserved and free of disruptions will help give it significance, not only in your daily schedule but also in your brain. One of the major reasons that people start to slack off on their fitness resolution is boredom. Going to the gym can be monotonous. You run like a hamster in a wheel for a little while and then you go pick heavy things up and put them back down. Even a disciplined weightlifter eventually gets bored. 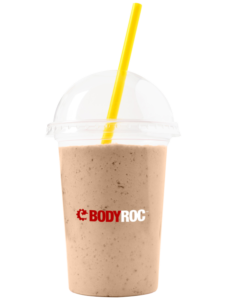 If you want to keep the workouts going strong, then switch up your routine! If lifting weights bores you and you hate the treadmill, do something different. High-intensity group fitness classes are a great option because they’re uptempo and exercises are constantly changing within the workout. By the time you get used to punching the bag, it’s time to switch to weightlifting, or sprints on the treadmill. You’re working on something new every day, which really staves off the boredom. Maybe you get too distracted, bored, or frustrated when you try to workout on your own. Or, perhaps you’re too intimidated to try a group class alone for the first time. If it helps you stick to your fitness resolution, try bringing a friend along with you! Having a “partner in crime” tag along with you will help you feel comfortable when testing the waters in a new, possibly foreign environment. 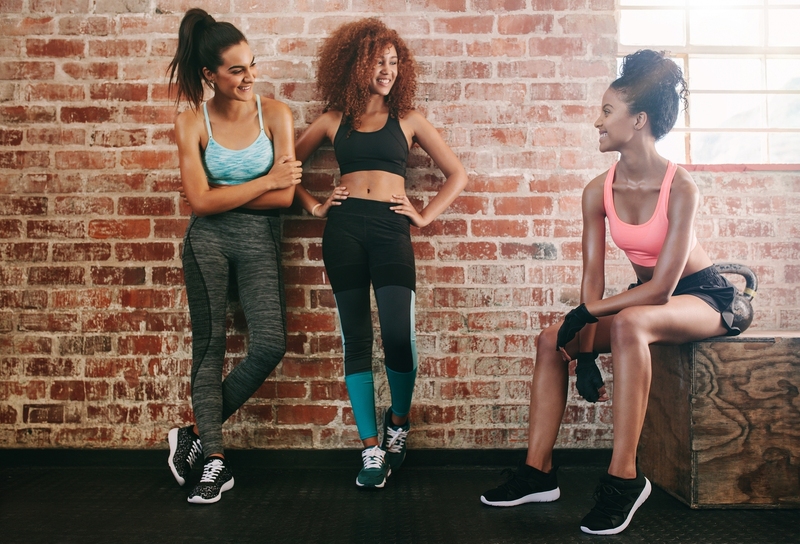 You can encourage and support each other through the workout. The buddy system isn’t only reserved for friends, either. 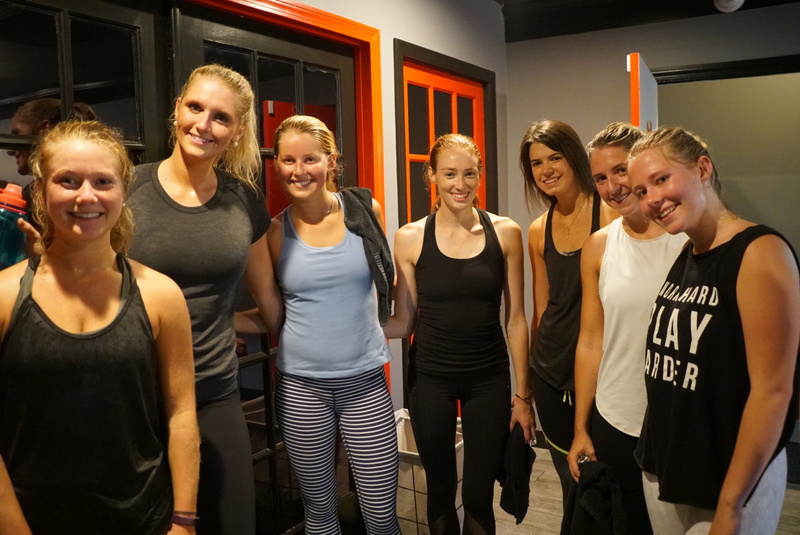 If you want something new to do with bae, try turning up the heat with a group fitness class! Did you know that exercising with your significant other can actually serve to increase your bond together? If your partner enjoys it, that will only serve to motivate the both of you to continue! No matter what, remember to cut yourself some slack. If you’ve been dedicated to your exercise and you’ve been eating all the right things, then don’t be too hard on yourself if you miss a workout here and there. Life gets in the way sometimes – we all know that. Don’t let yourself get discouraged too quickly. Maybe you thought you’d see faster results, or maybe you’re upset because you couldn’t push your workout as hard today as you did the day before. One bad day isn’t the precursor to ultimate failure. The most important part is being able to get back on your feet. Some people take one misstep and let it snowball out of control until they’ve completely fallen off the wagon. The difference between someone who achieves their fitness resolution and someone who doesn’t is the ability to recognize that living fit is a lifestyle, not a means to an end. Fitness is a mindset. It’s doing right by yourself. Inevitably, everyone falls off the horse. The key to success is getting back on with more dedication and a better focus on your ultimate goal. Ready to Finally Crush Your Fitness Resolution? 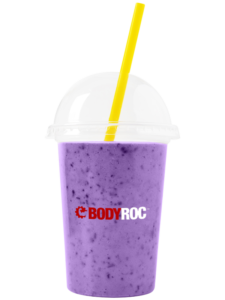 If you’re ready to stop messing around and finally get into the best shape of your life, you need to come out to BodyRoc Fit Lab in West Hartford, CT. 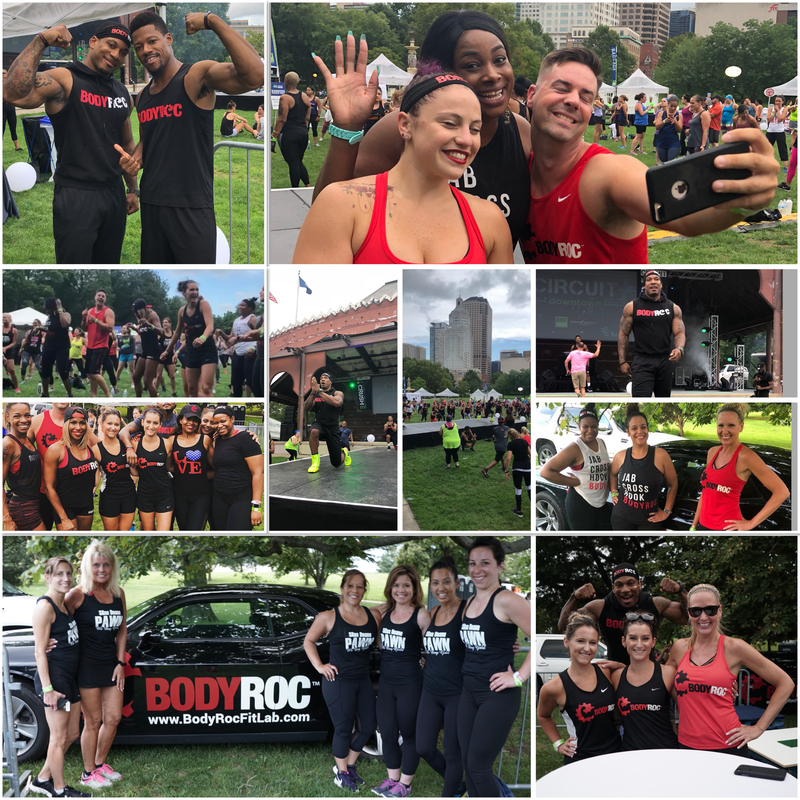 The brainchild and passion project of renowned fitness instructor Shaun Chambers, BodyRoc is the ultimate high-intensity group fitness class that is guaranteed to build muscle, torch body fat, and give you the best workout you’ve ever had. The classes at BodyRoc are all inclusive, whether you’re a beginner or an expert, male or female. Check out the class schedule, and reserve your spot! Got questions? We’ve got answers! Give us a shout today! 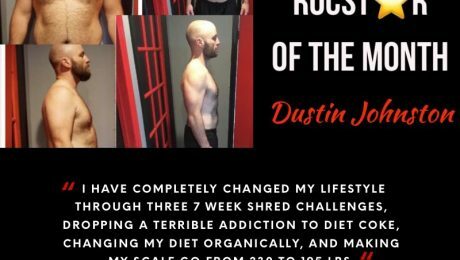 After years of fantasizing about being in shape like the glory days of high school, Dustin knew it was finally time to give up Diet Coke and unhealthy foods in order to make some real changes in his life. Introducing our AUGUST ROCSTAR OF THE MONTH, Dustin! With a healthier state of mind, I have grown the confidence to complete physical feats that I never dreamed of…joining Krav Maga and passing my first belt, trying and continuing Parkour classes, completing a Spartan Sprint, and recently finishing in the top 30% of a Spartan Super on Blue Mountain in Pennsylvania. On top of that, I have completely changed my lifestyle through three 7 week shred challenges, dropping a terrible addiction to Diet Coke, changing my diet organically, and making my scale go from 230 to 195 lbs. Now, I have my eye on the renowned Spartan Beast on Mt. 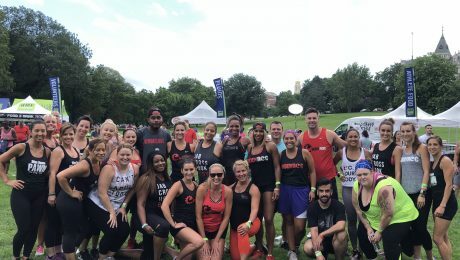 Killington in Vermont and a Tri-State Tougher Mudder alongside none other than BodyRoc’s founder, Shaun Chambers..feats that were only previously a pipe dream. If it isn’t obvious, BodyRoc has completely changed my life..Thank You! 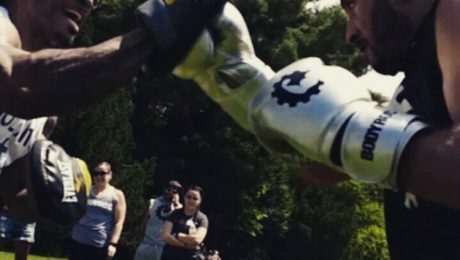 I’m sure many of you have seen the photos and videos of BodyRoc’s new mitt training program offered by trainer Gil Pinero. 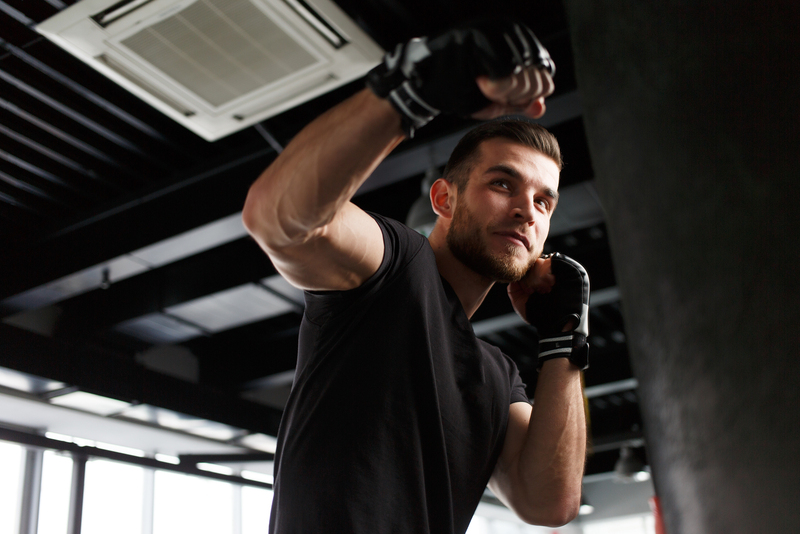 I spoke to Gil, a 15-year professional in MMA fighting, boxing and kick boxing and he shared the benefits of this training. The training in itself will offer members a dynamic approach to the world of boxing and as Gil mentioned, the intent is to make sure you leave each training better than when you came in. I had the opportunity to experience the mitt training back when it was being introduced during Friday’s KnockOut classes. I quickly learned that it is a great addition to the heavy bag training. For starters, you’re working with another physical being that is giving you instructions on what punches to throw. These instructions switch rapidly so it keeps you sharp and on your toes as oppose to following a combo. There’s a lot more movement in this training that you wouldn’t get in front of a heavy bag. It’s also the perfect opportunity to learn the correct way to throw a punch. After my first mitt training, I realized that I had been throwing my cross punch wrong and it was Gil who corrected me. The next time I worked with the heavy bag, I felt more confident and stronger. 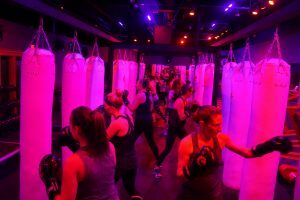 The heavy bag is a great tool to prepare you for mitt training at BodyRoc FitLab. It allow you to unleash a lot of power, speed and enhance your footwork, which can all be applied during your one on one with Gil; you’ll be able to navigate through those 30 minutes like a champ! Gil will analyze and adjust your training to not only make you better but stronger than before. If you’re interested in signing up, send an click here to send an email with your your desired date/time and she will check Gil’s availability to confirm your session. Each sessions is $60.00 for 30 minutes of one on one training. 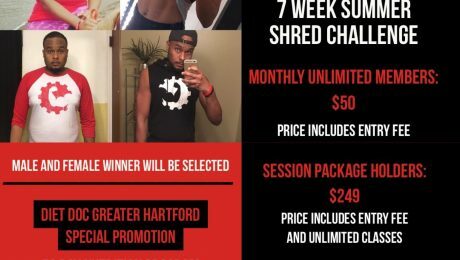 This will be a great addition to those who are seeking an extra push during the 7-Week Summer Shred Challenge. 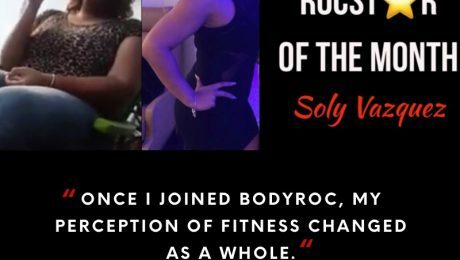 This busy mom and attorney has been crushin’ her workouts at our BodyRoc FitLab Avon studio since February 2018. 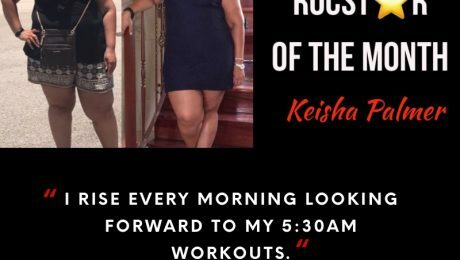 With almost 100 classes under her belt and 15 lbs down with the guidance of our nutrition program, the Diet Doc Great Hartford, we’re pleased to announce our JULY ROCSTAR OF THE MONTH, Keisha!